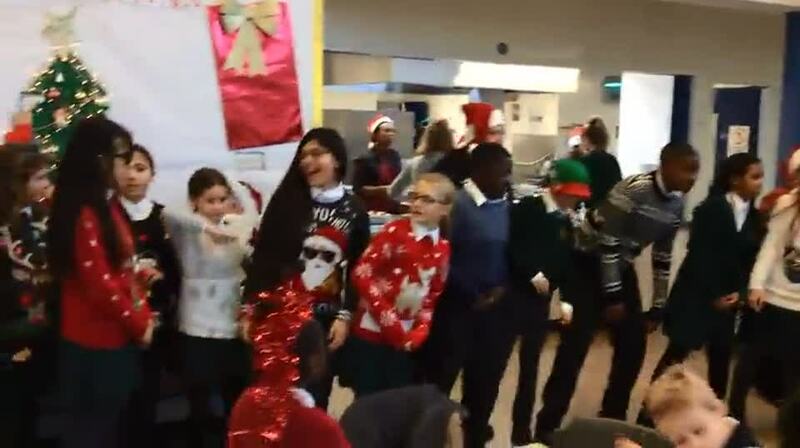 jingle bells and happy christmas from sjv! This week, we enjoyed our whole school Christmas lunch; as is tradition, the children thanked their support staff with a gift before tucking into a delicious Christmas lunch with all the trimmings and crackers! Take a look at the montage to see just how much fun we had! 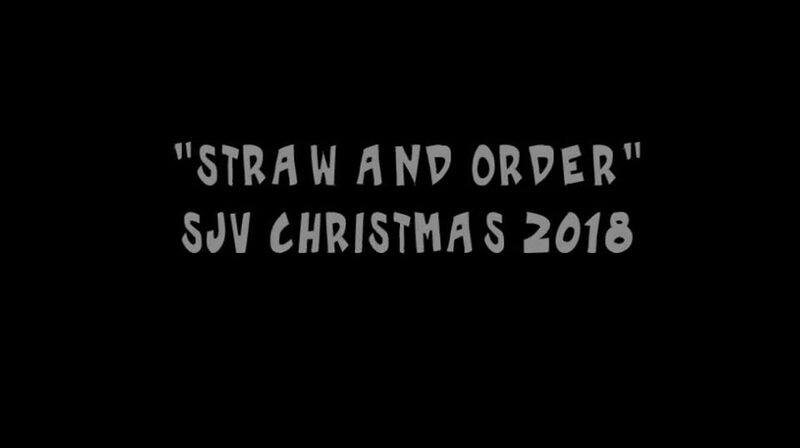 straw and order - another nativity triumph! This week we mark the third week of advent, where we rejoice at the coming of Our Lord, with perhaps the most joyous event in our school year – the Christmas nativity production! Many weeks of preparation paid off in style over the last two days as the whole school community came together to celebrate. Tinsel – check, tea towels – check, sheep – check, some-of-the-cutest-Reception-Angels ever? Check. Everything was in place to ensure a wonderful time was had by all. 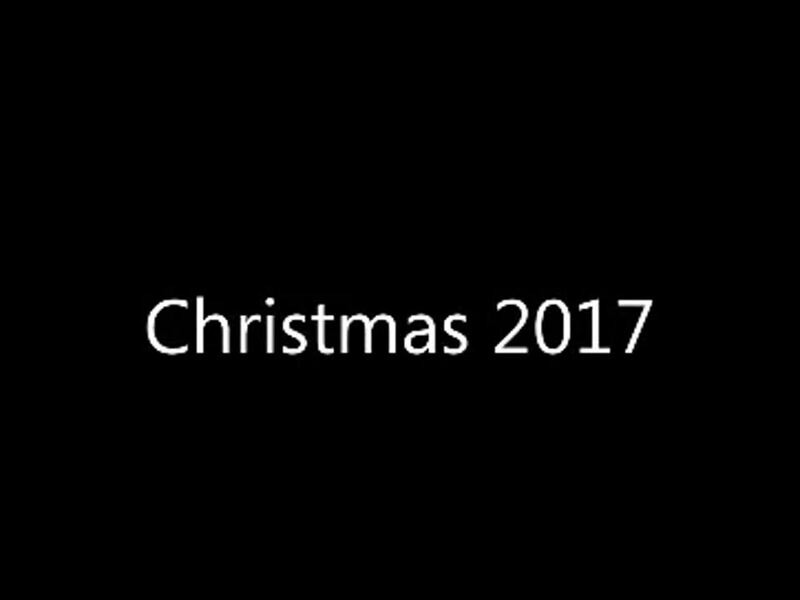 It really now does feel like Christmas is coming, and I’d like to thank you all for attending, supporting your children and for being part of this amazing community. Huge thanks again go to Ms. Griffin, who pulls off her own Christmas Miracle at this time ever year! Greek Day in Class 3. Class 3’s work on their topic ‘Warriors’ really went into overdrive as they dedicated a whole day to explore Greek myths, geography, politics, warfare, maths, history and food! The amount of learning crammed into this exciting day was incredible, and the visiting ‘Greek warrior’ said it was all the better because the children knew so much already, typified by Matilda knowing the names of Medusa’s two sisters – he was floored! Fabulous day class 3. On Tuesday, the hall was turned into ‘once-upon-a-time’ land, as we staged an exclusive production of Jack and Beanstalk. Having the production in school proved to be a huge hit with the children; they were able to join in more, interact with the baddies more loudly, sing along and develop a real relationship with the characters. Many children enjoyed moments onstage with the characters, including a section involving the ‘fastest flosser’ one of the actors had ever seen! Also…there were no silly ‘adult’ jokes about Brexit, which was a relief! A panto ‘for the kids’ – at last! Have a look at the clip below to see how MUCH they enjoyed it! Today the children of SJV gave us a little peek into the future - their future! We had Doctors, Teachers, Police Officers, Firemen, Explorers, Archaeologists, Scientists, Racing Drivers and one or two footballers! We will certainly be in good hands when this lot get going! HUGE thanks to our parent volunteers, who gave up their time to come and inspire our children, and to give them an insight into what’s out there in the world of work. You were amazing – thank you so much. close, but not this time! Proof that we are ALL Tottenham fans here! Who do we all support? 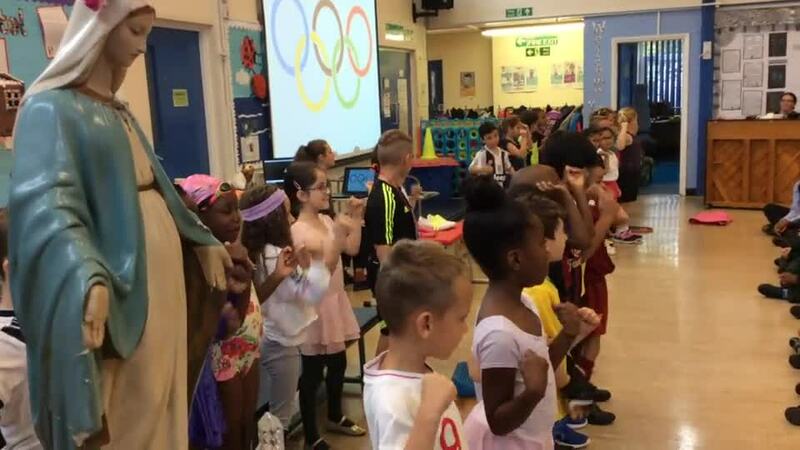 Year 2 sing the Olympic motto! 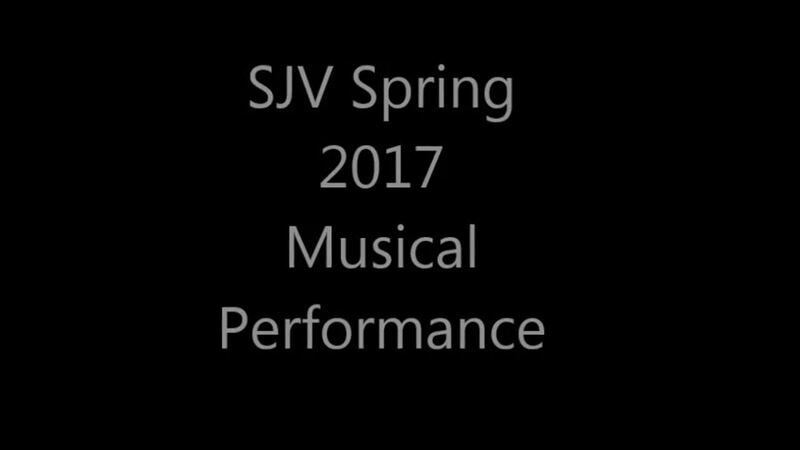 a snapshot of sjv life! TOTTENHAM HOTSPUR STAR KIERAN TRIPPIER VISITS SJV! Year 6 bring the 'matilda story' alive in their leavers' assembly! sun shines on glorious sports days! Reception Class this week shared their Journey Into Space topic - proud teachers, mums, dads and friends filled the hall! Year 6 celebrated the end of their time at primary school by attending a liturgical service for all of Haringey's Catholic and Church of England schools. Year 6 take part in the young entrepreneur challenge - build a business on a fiver! 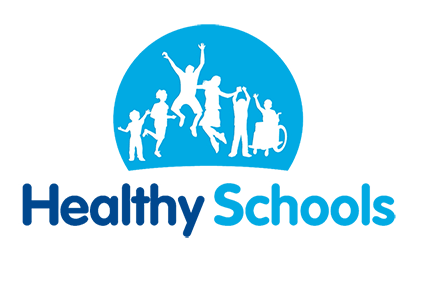 Fighting for fitness and energy giving activity, this week we started the Daily Mile programme, designed to get school children moving and fighting fit! go wild at the Royal albert hall! .Once the sun has come out of hibernation, we know it's time to get the glad-rags on and party! The Friends of SJV work hard to make sure that these wonderful parties are enjoyed by all - DJs, Foam Machines, Sweets and Drinks and dancing make for a great way to round the week off! the iron man - on his way? Our enrichment trips continue, with two classes out this week enjoying what London has to offer! Some brilliant model making in class 2 - they are really getting into their new topic! Class 5 assembly - the terrible tudors! Year 6 dig for success! Happy christmas...from the children of sjv! champions - SJV win the aquinas cup! 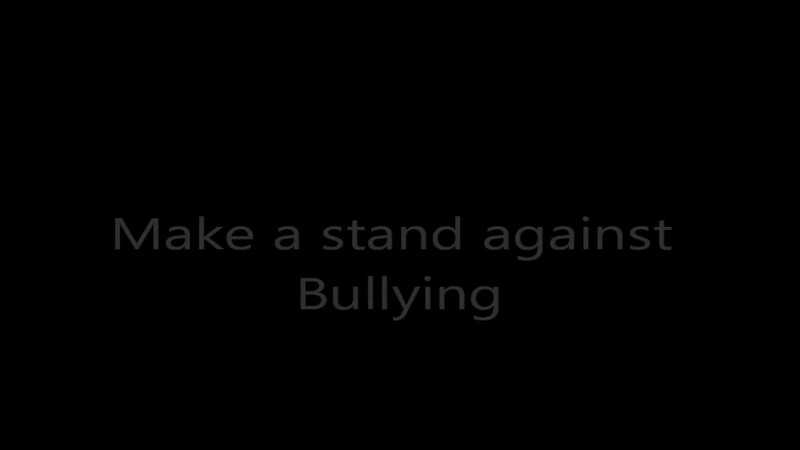 All this week, the children have been reflecting on the theme of this year’s Anti-Bullying Week: All Different, All Equal. A simple, but powerful, sentiment. 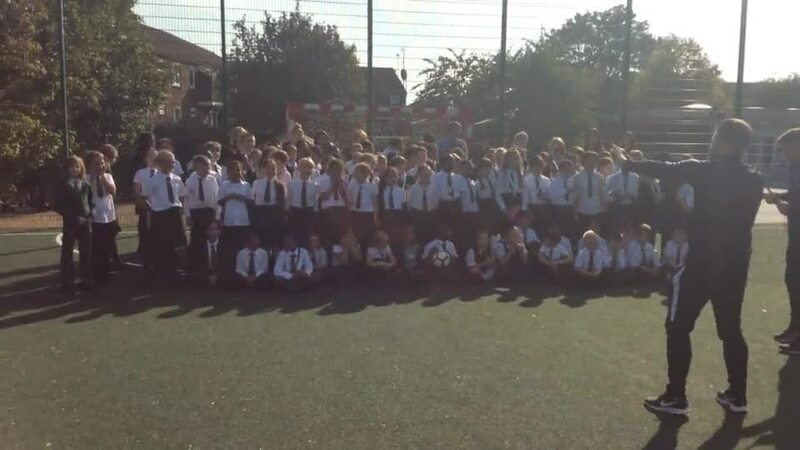 We have about the most diverse set of pupils you could wish for, and it is our differences that make us so interesting, so unique, so special. During a sharing assembly, the children were able to point out the ways in which we are different, and we all agreed that none of those things make us any better or inferior to anyone else. We ARE all different, but we are indeed all equal. As I said when I introduced it, there was a bit of a ‘buzz’ about this assembly – staff were cancelling meetings to make sure that they were present. Ms Alfonso and Ms Cassidy were sneaking peaks throughout. And why not? 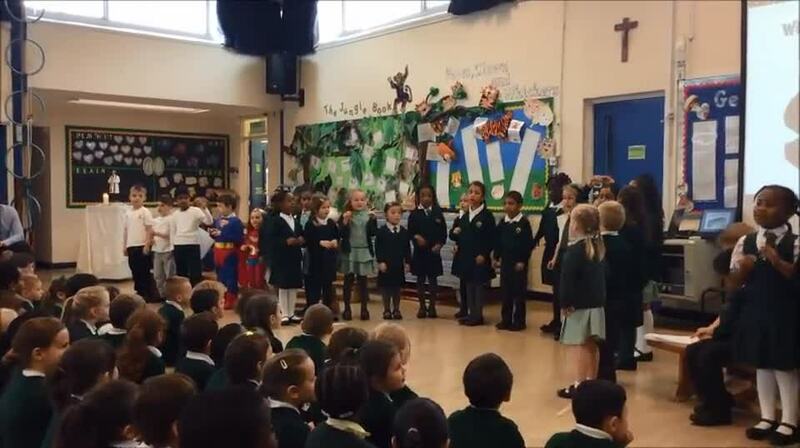 This was a brilliant show from our very own Class 1 Superheroes; a show that had everything: impeccably learned lines, the coolest soundtrack ever, brilliant costumes, confident delivery, humour and…a quite heart-meltingly lovely central message. As Class 1 taught us today, you don’t have to put your pants on over your trousers to be a Superhero – just reach out to someone, show them kindness, help them. There were a number wobbly bottom lips towards the end, mine included! The History Boys and Girls! Class 3’s trip to the Natural History Museum, as part of their topic about Volcanoes, was a real success. Their behaviour and attitude, again, was impeccable and as you can see, the learning that our children get from these trips is invaluable. And it looks like they had a great time to boot! 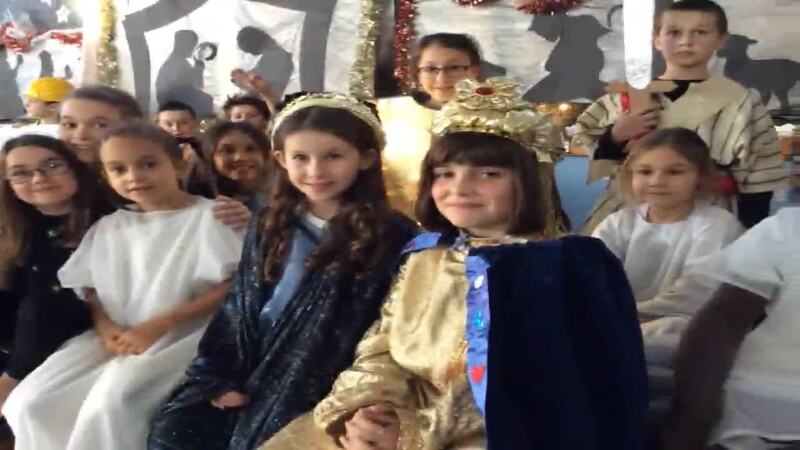 Over the last couple of weeks, the Friends of SJV have held their annual KS1 and KS2 parties. The aptly named ‘Captain Fantastic’ showed an immense amount of enthusiasm and bounce (for a Friday afternoon), and treated us all to fun, games, dancing and a (carefully controlled) pyrotechnic trick! Class 4 took a trip down memory lane this week as they studied the times, lives and music of the greatest band of all time…The Beatles! I was particularly excited by this prospect, as my love for all things Tottenham is ONLY matched by my near obsession with the music of the Beatles. They are a brilliant topic for social and cultural history…and it gave Class 4 (and me) the chance to have a good old-fashioned sing-song! Education at its best in my book! ‘John’ spoke to the children of his post-war childhood, his family and his time as the world’s number one musical icon. He, as was I, was struck by the children’s interest and knowledge; clearly some good ‘cultural parenting’ going on in class 4! Special mention to Eduardo, who seemed to know more about ‘John’ than ‘John’ did! 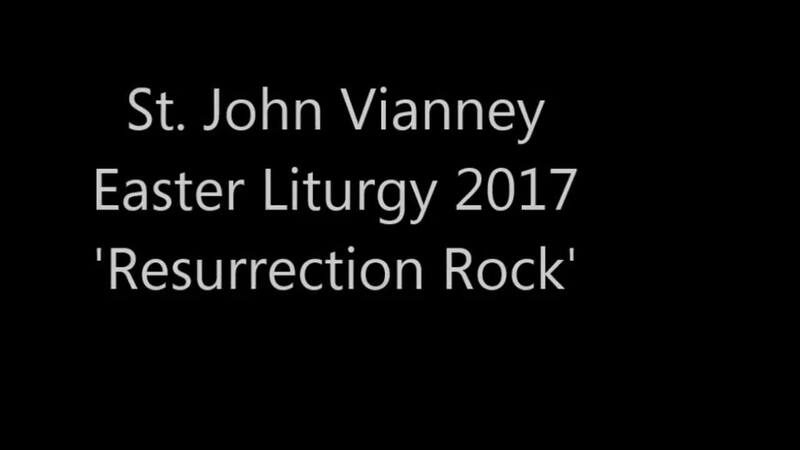 The start of each half term now comes with the added excitement of reviewing and celebrating the brilliant topic projects that have now become part of life here at SJV. 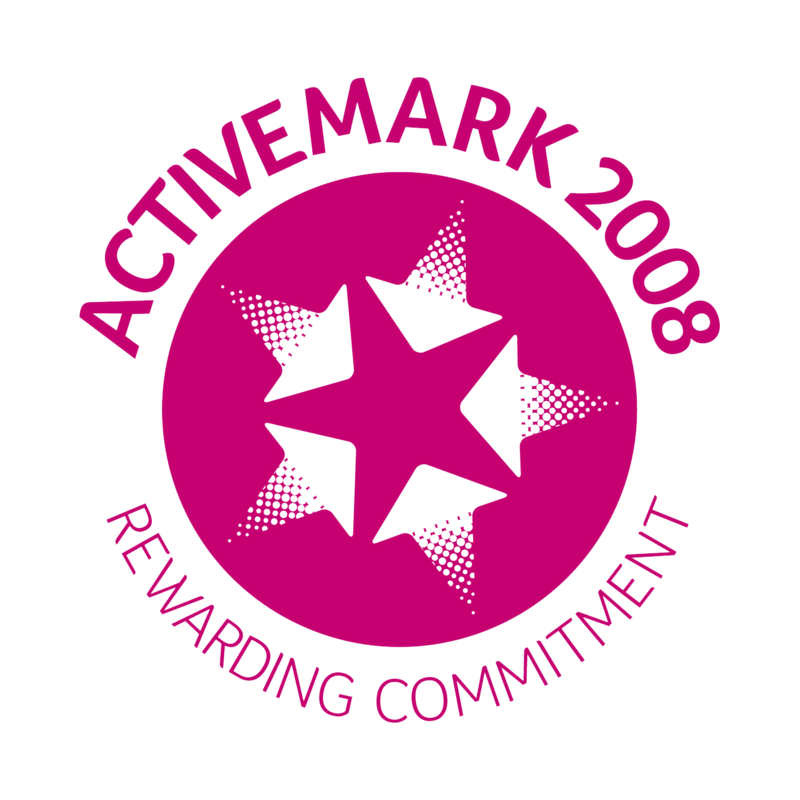 Feedback from the children (or even a short conversation) tells us that they LOVE their topic work – they immerse themselves in every aspect and go well beyond expectations when it comes to bringing that learning to life. It is also delightful to see that parents are rolling their sleeves up and helping – this is NOT cheating! It is lovely to think that these projects are alive in your homes, and that you obviously spend a great deal of time discussing them, while assisting with the odd bit of papier mache, cutting, gluing and even carpentry! Beautiful work all round – keep it up! Superhero Friday: This week saw the start of another set of exciting topics here at SJV! With titles such as ‘Tremors’, ‘Towers, Turrets and Tunnels’, ‘Beast Creator’ and ‘Superheroes’, it promises to be an amazing half term. Year 1 kicked off their topic in style by holding a Superhero Day! They came as an array of masked characters and enjoyed in imaginative activities, such as the ‘Superhero Hunt’ and ‘Superhero PE’! We are all looking forward to the work they will produce on the back of all this excitement! 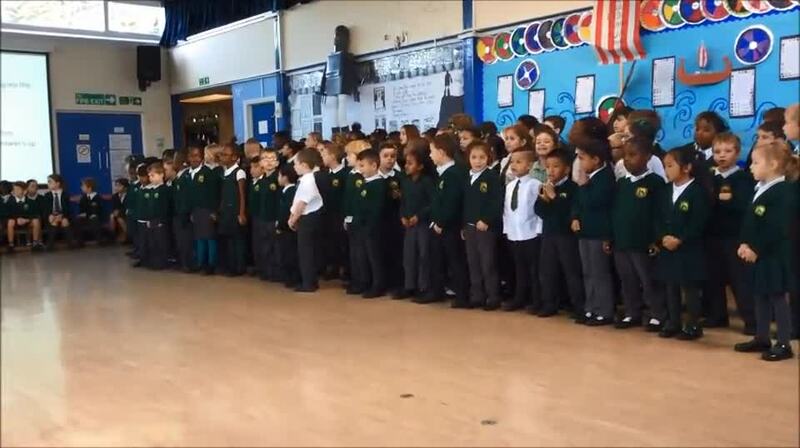 Music really is a growing force in this school at the moment. This week we had a wonderful showcase where our fledgling instrumentalists showed just how far they had come. The most established of the groups, the pianists, were confident, assured and note perfect; brilliant progress under the expert guidance of Anne Molony and our own Ms. Griffin. Our super little band of guitarists have only been playing for a term, yet they had enough skill, musicality and courage to perform to the whole school…and they sounded great! A big ‘thank you’ to Dominic, their teacher and leader, for adding the sound of Spanish guitars twanging in our corridors. Just lovely. Last, and never least, our ever-improving choir! They wowed us this week with their confident and immersive four-part singing, really showing us all how much progress they have been making with all those early Tuesday mornings paying dividends! Ms. Griffin has not only done a great job in teaching them, but she is always on the lookout for new ‘gigs’ (next stop – the Tower of London; watch this space). They have as hectic a tour schedule as Little Mix! The first indication was a grainy photograph of what appeared to be ‘long ears’ peeping over the fence! Red nose day - put a nose on it! The children of SJV burst into colour this Friday as they marked Comic Relief 2017 with a splash of vibrant red! They looked fantastic in assembly, all gathered together like a beautiful poppy field! As well as having fun and looking cool, we also raised money to support our twin school in Chinziri, Malawi. It is lovely for the children to actually see where their money is going to and we look forward to presenting Fr. Henry with the fruits of our efforts in the Autumn. A big ‘well done’ to our Year 5 Poets, Christian, Alana, Stephanie, Ola, Cristiano and Kyro for some outstanding Red Nose poetry! class 3 time travellers - next stop ancient greece! Year 3 have been travelling in the History Time Machine this week, when Ms. Burry transformed the hall, the class and the children into all things Ancient Greek! An endlessly fascinating topic, which allows the children to draw on almost every aspect of learning: history, geography, writing, reading, art, design, PE…even maths! 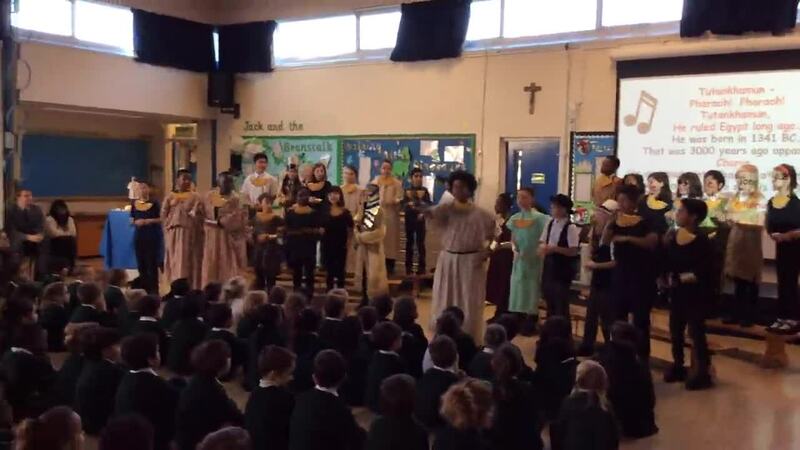 Their visiting ‘Greek’ warrior was a brilliant and knowledgeable travelling companion and, as you can see, the children really love their work being brought to life in this way – well done to Ms. Burry and team for going that extra mile again! 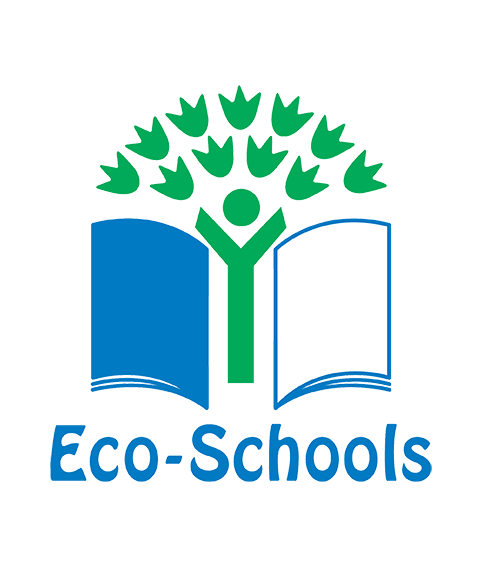 class 1 vs. Storm doris! Class 1 braved the best that Storm Doris could throw at them when they visited the City this week. They were visiting the Tower of London as part of their ‘Bright Lights, Big City, topic, and what a wonderful day they had! They visited one of the most iconic and interesting places in the world – people travel huge distances to do this, but our lot were lucky enough to just hop on the tube! This week, the school was delighted to host a public consultation for these local developments. Cllr Blake invited the architects of the proposed development in to present their plans for the site, and for parents, school staff and the local community to have their say about what is needed to make this a successful project for the community, one that adds value to the area and, in particular, reclaims the Stanley Culross open space for families and children. Thank you to those parents that took the time to speak with the architects and Cllr Blake – we have been very clear about what we want and require from the development and that is such an important first step. Watch this space. Having fought off a Dinosaur infestation last Friday, this week my office was besieged by a legion of Romans! Class 4 have been studying Romans this half term, and celebrated in style with an end-of-topic ‘wrap’ party – I was invited to review some amazing writing, some jaw-droppingly good models of Roman villas, some informative and well organised ‘mind-maps’, models of Roman coins and shields. Best of all, I was invited to ‘Feast Like a Roman’ – fresh baked bread dipped in honey, served with a special ‘grape-based’ drink! Delicious, and lots of fun! 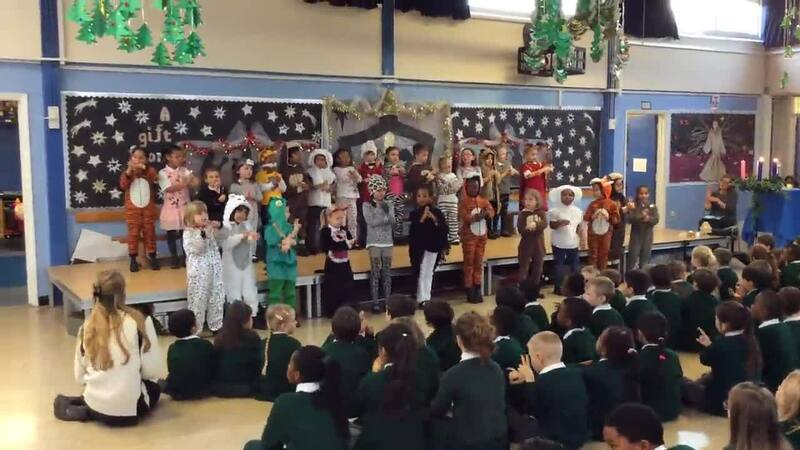 Well done Class 4 and Ms. Ali – you have clearly worked hard this half term and you deserved your party! 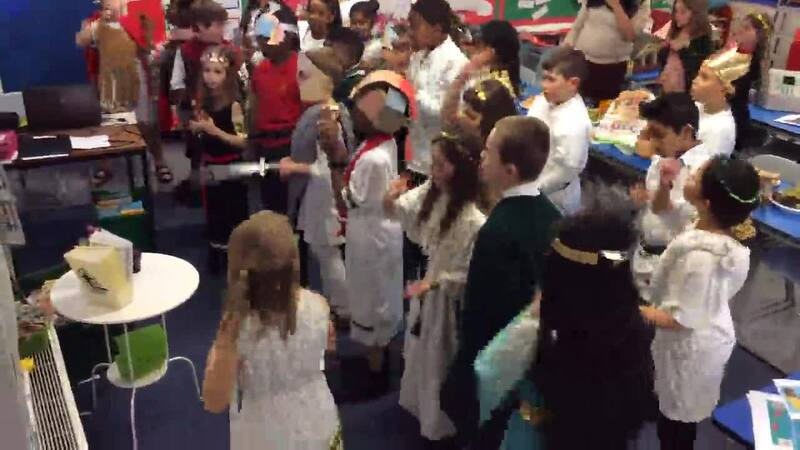 See below for sneak preview of ‘Party Like a Roman’ by class 4! Something quite unusual happened on Friday afternoon. I was in my office, quietly getting on with my work, when I ‘sensed’ a commotion in the corridor outside. In a moment of quick thinking, I grabbed an iPad to record ‘evidence’ of what I might find. I did NOT expect to be greeted with this! A whole herd (Pack? Gaggle?) 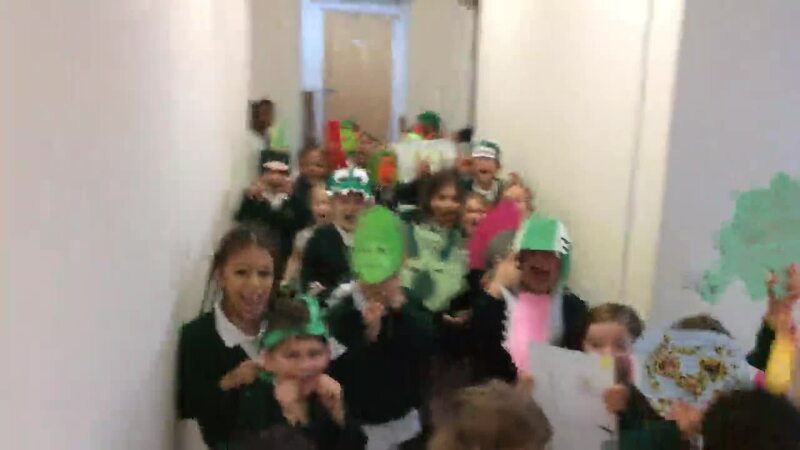 of Dinosaurs from Class 1 scared the life out of me with a mighty roar! If you only watch one clip this weekend, watch this one. 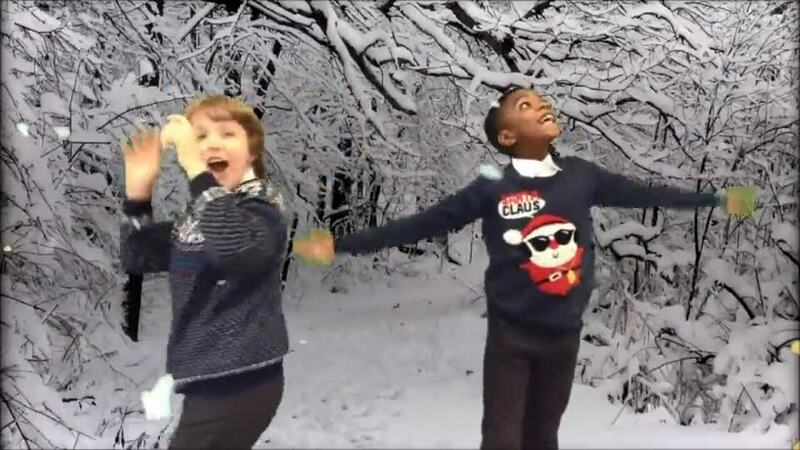 If ever we (the DfE, the council, Headteachers, staff, parents and even pupils) lose context of what we are here for – this clip is a heart warming reminder: happy, smiling children proudly showing off the results of their hard work. We sent a crack team of Year 6 pupils up the Enabling Enterprise Education headquarters in Smithfield, in the heart of the City, this week to give them a glimpse of what it might be like to be successful at business! They were up against 6 other schools, and the process that they went through was described as a cross between Dragon’s Den and The Apprentice (in a good way). Looking at these future Business Titans, you will NOT be surprised to learn that they CAME FIRST! Their pitches for investment projects were judged to be the soundest, best thought through and best delivered on the day. Huge congratulations to the ‘SJV Fair Traders’! If that were not enough, we were also delighted to get feedback from the organisers about our boys and girls: polite, well behaved ambassadors for our school, who were praised for their humour and hard work. You could be forgiven for thinking that the pupils at this school were being employed as (unpaid) glorified decorators! We are running out of wall space to show off their incredible artwork and writing. This week’s assembly showcased their latest masterpieces and was a delight to behold. Colour, imagination and enthusiasm abounded as the children all shared their work. I continue to be impressed and proud in equal measure with the efforts of the staff and pupils at this school. During Creative Art Day, each class chose a famous masterpiece and used to create our own works, inspired by the Masters’ techniques and genius! We were extremely fortunate this week to receive a visit from former Tottenham (and a few other clubs) legend Jermaine Jenas! Jermain kindly agreed to come to the school to speak with our Year 5 and 6 classes about their topic of Aspirations this half term - what can we be in life? What do we need to do to get there? Now, given the press Premiership players get, you might think: what does he know? Overpaid, selfish and living in a world of privilege. Jermaine Jenas, as well as being a successful international footballer and TV pundit, has become involved in the Aquinas Foundation, a charity dedicated to helping schools and young people get the most from their education opportunity. He spoke eloquently to our children about aspirations; going the extra mile in everything you do; not leaving anything to luck; dedication; hard work and always challenging yourself to improve, no matter what your stage in life. Alana: if you could go back in time to meet your younger self, what advice would you give him? Jermaine: I would go back to the time to where I thought I had 'made it', and I would tell myself - set yourself some new goals. How are you going to get better? A great message from one of the game's gentlemen. A huge thank you to Miss Burry for organising this unique and genuinely mind-blowing experience. The ‘Science Dome’ is an immersive, 360 degree experience that transports you to amazing places and experiences: the land of the dinosaurs, under the sea, the world of the pirates and ancient Egypt! These photos can only hint at what an incredible experience this was! The children were seated in the centre as whole landscapes opened up above their heads. Our guide, Giuseppe, expertly led the children through this wondrous adventure. 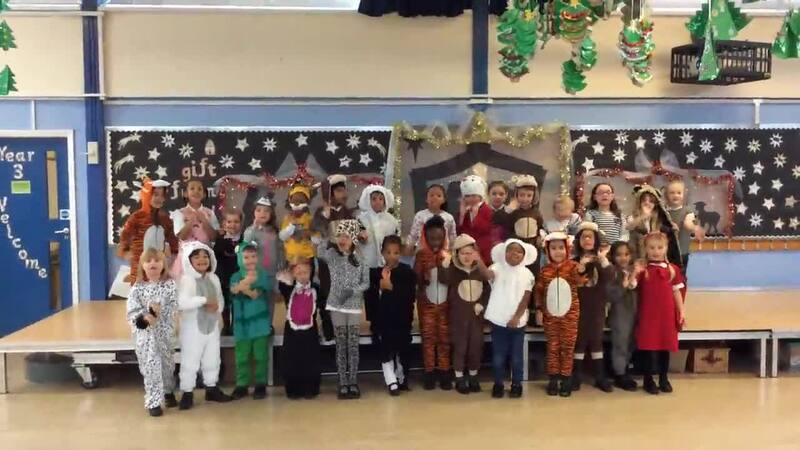 Our Junior Choir and budding musicians gave an wonderful ‘end-of-half-term’ performance this week – Ms. Griffin has introduced this lovely event to give a real sense of purpose and pride to the children’s development as musicians. There’s nothing like an audience to focus the efforts! Parents, pupils and staff were treated to an impressive end-of-term from those that have been busy learning piano. This group have been studying hard and practicing all term, and are progressing brilliantly. Many thanks to Ms. Moloney for teaching them and preparing them so well. Class 1 have been learning about all things that have Paws, Claws or Whiskers this half term. They have really immersed themselves in their topic, creating some beautiful writing and learning about some of the world’s most fascinating animals. They presented their learning beautifully at their class assembly, and dressed to impress too! class 1 send their healing powers to poorly teacher! 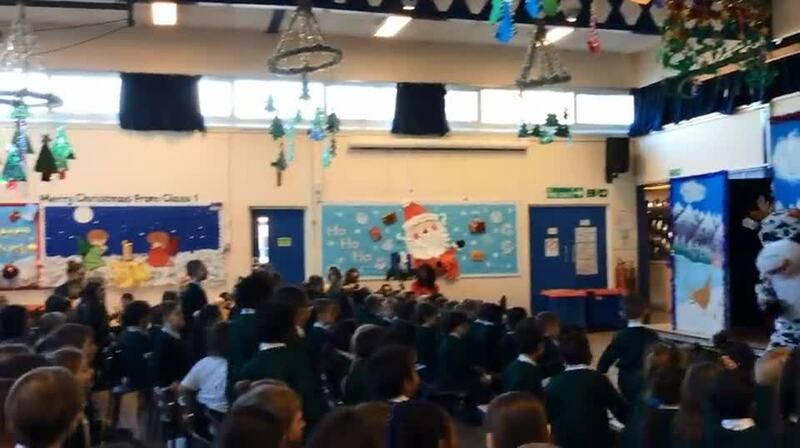 Class 1's teacher, having put in all the hard work in preparation, had to miss the assembly as she was feeling poorly. However, to cheer her up and speed recovery, the big hearted class sent their message and some highlights to enjoy! 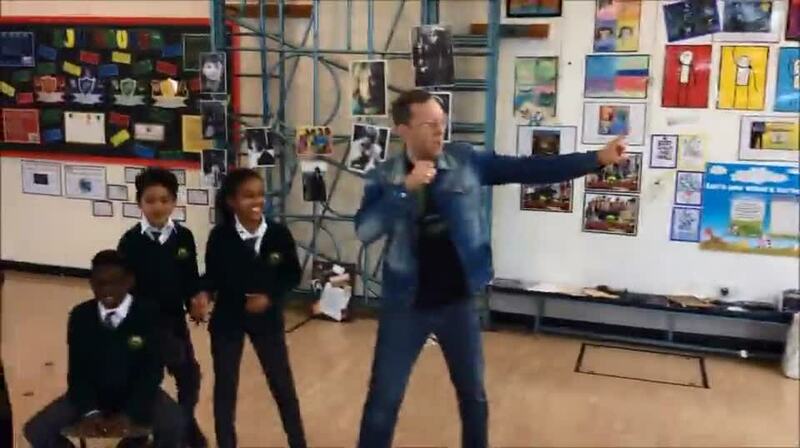 Mr. quin and class 6 win the 'primary class of the year' award at the haringey outstanding for all awards! Huge congratulations to our very own Mr. Quin and his 2015/16 class of superstars! The Haringey Outstanding for All awards is a prestigious event designed to celebrate the very best the Borough has to offer in education. 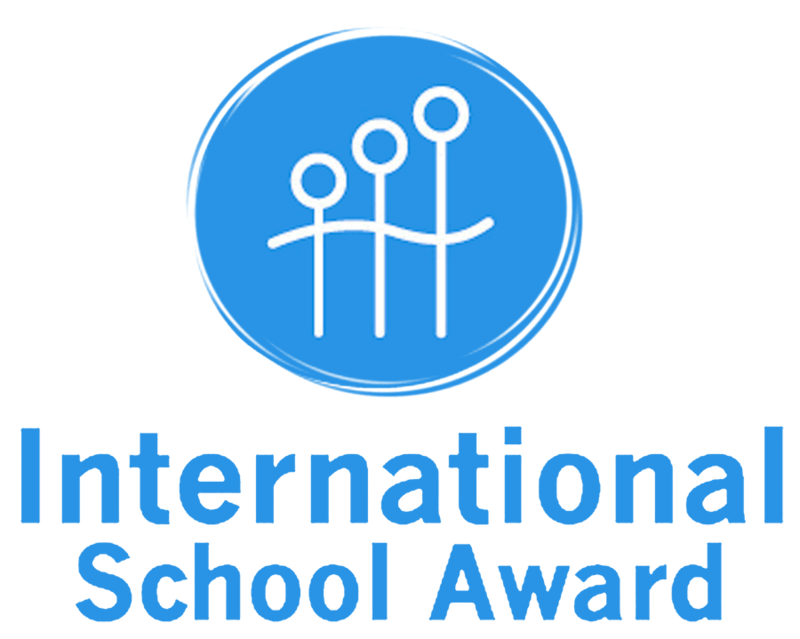 There are awards for outstanding leaders, teachers, support staff, pupils, community stars, governors and all those that knit the fabric of schools in Haringey together. Mr. Quin and his class was nominated for achieving a "brilliant atmosphere and an academic environment that was exemplary, with excellent results." All of this in what was, arguably, the most challenging year in Primary Education for many years. 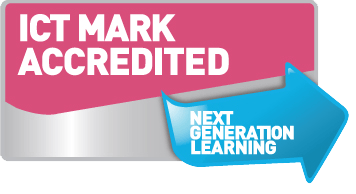 Tougher curriculum and tougher tests were taken on with focus, determination and enthusiasm. I would like to congratulate each and every pupil in the class of 2015/16 and Mr. Quin, who was ably supported by Ms. Giltinan, Ms. Kennedy and Ms. Hulbert. Congratulations to all on an amazing achievement! Another HUGE thank you to our brilliant ‘Friends of SJV’! This afternoon, they laid on a lavish spread of cakes and bakes, provided plenty of festive cheer and raised money to fund treats for the children at Christmas. A great way to end another busy week at school! STOP PRESS!!!!!! This amazing event raised a whopping £730! Not only will this (comfortably) fund crackers for the Christmas lunch, we will use it to fund a special treat for all in the new year. Class 5 and Class 6 led the way during Road Safety Week, when they met with representatives from Brake and Donovan’s to discuss ways of keeping safe on the road, particularly when cycling and sharing the road with monster trucks like the one that visited the school. 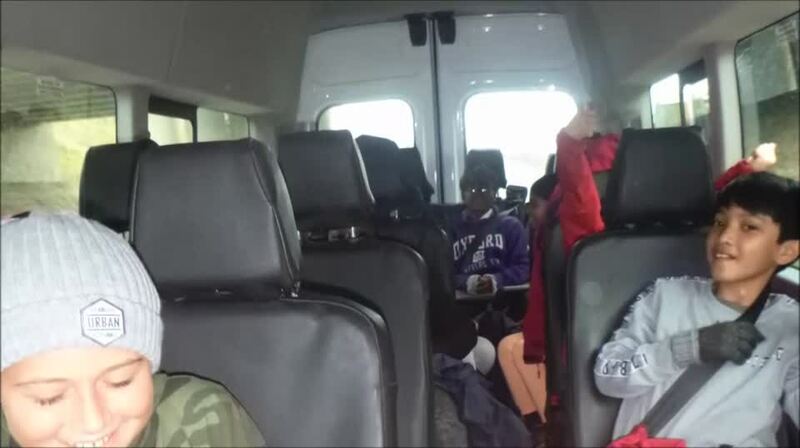 Everyone was impressed with their knowledge and politeness and we all even managed a turn in the driver’s seat! The story made it to the local newspapers (as far as Enfield, meaning I could read about our brilliant children over my cornflakes this morning! ), so keep an eye out. 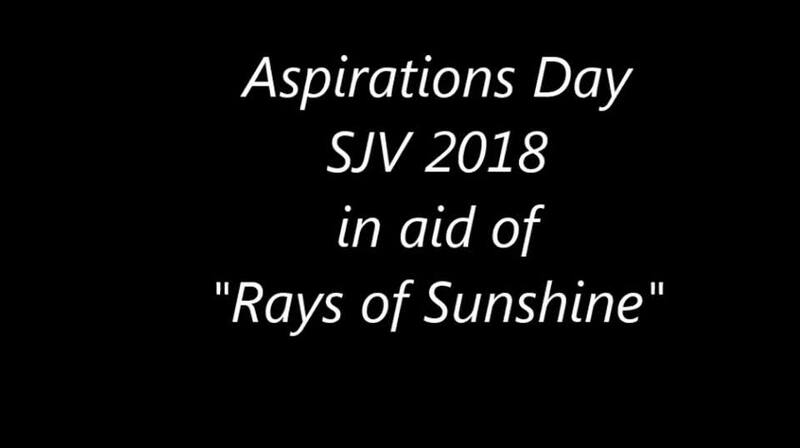 The children and staff at SJV marked this important event in the national educational calendar impressively with their thoughts, feelings and ideas around this challenging issue. 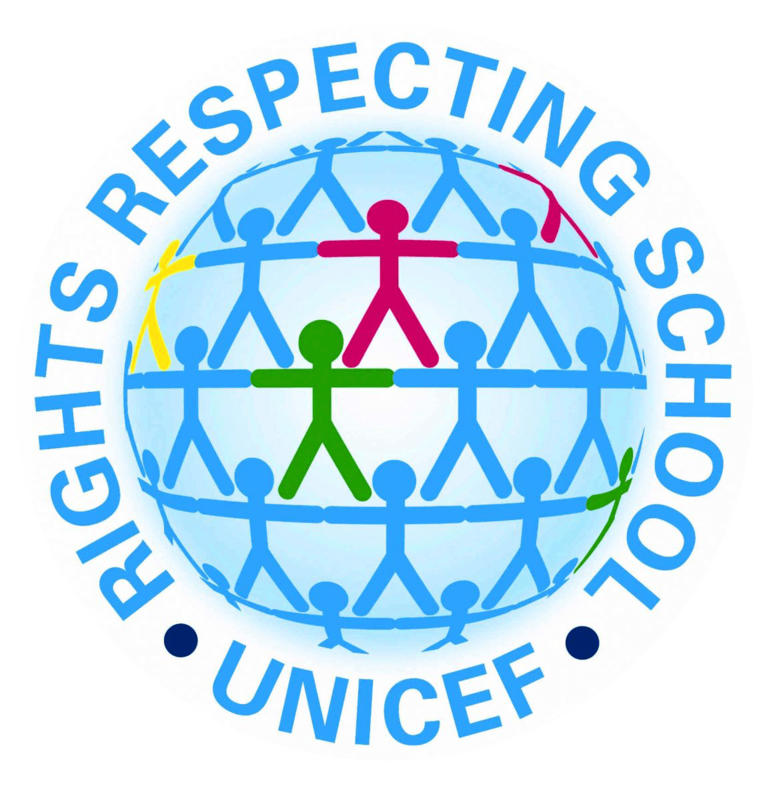 Friday’s assembly showcased our children’s ability to show responsibility, care for each other and to understand the causes of, and remedies for, bullying in all its forms. Class 6 presented a moving film, utilising the topical craze for ‘Mannequins’ (holding a pose still while being filmed, giving the effect of a ‘3d photograph’) to sensitively explore this topic. This week class 5 demonstrated the power of Topic Based Learning. 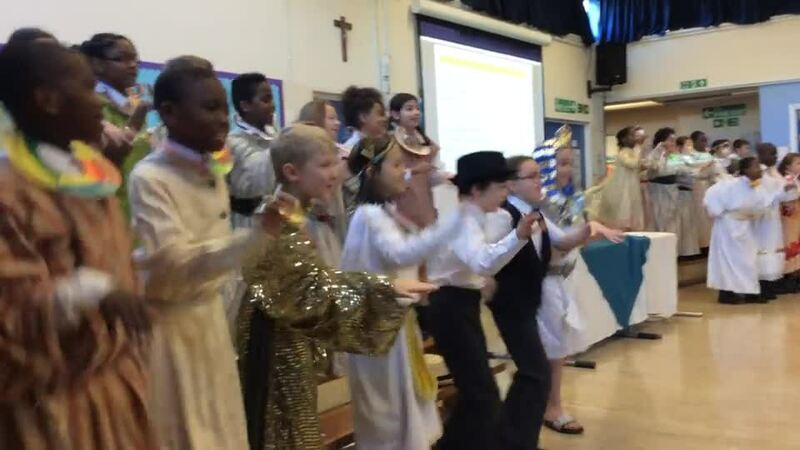 They have been studying ancient Egypt, and their presentation at Friday's assembly was a joyous mixture of History, Literacy, Religion, Drama, Science and Music (that song is still banging around my head!). Congratulations to Ms Milonas and her team, and of course the children in class 5 - a thoroughly enjoyable end to the week! All together now, "Tutankhamun, Pharaoh! Pharaoh! Tutankhamun, he ruled Egypt long ago..."
This week, Class 1 brought their class book, The Tiger That Came to Tea, to full and thrilling life, when a small herd of Serengeti beasts (and a pig) made a visit. It was very good of the predators not to eat the pig, and it was very good of them not to eat the children too! A lovely time was had by all, and it is brilliant to see the lengths to which teachers go to bring learning alive. The squeals of delight and the smiling faces were a sight to behold! Who wouldn't want to be in Class 1? Last Friday saw the return of the ever-popular Friends of SJV Fancy Dress Disco! We were treated to some fabulous costumes, from both the young and old, some yummy things to eat, a good old dance and...Captain Fantastic on the decks! A great time was had by all, and a HUGE thank you to the hard working 'Friends' team who made all of this possible. The children had a blast, and that's the aim! This week’s assembly was always meant to be a culmination of the hard work each class has been undertaking in order to reflect on what it means to be a positive member of British society. Timed, as it was, for the day after the referendum, it was always going to be topical! While the news was sinking in, and clearly not the news that the majority expected or wanted, it was a good time to reflect on what it all meant. The children have been superb in this topic: open, sensible, considerate and passionate. Some were disappointed and confused, worried even, but we at St. John Vianney are a diverse bunch, with a strong sense of community, and we are a shining example of how British Values can work for the good of all! On Thursday this week, our Year 6 Class began their series of ‘goodbyes’ to St. John Vianney and Primary Education! 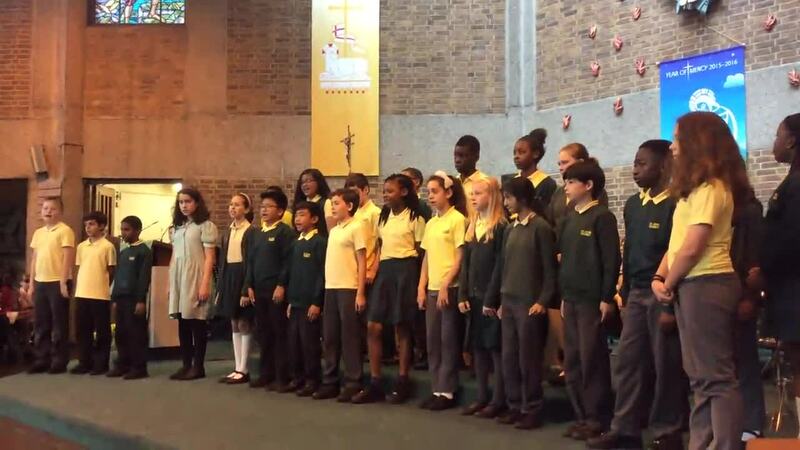 We gathered together at St. Paul’s in Wood Green, along with other local Catholic and Church of England schools, to celebrate the passing of another fantastic group of Year 6s from this school (this is my first: are they ALWAYS this good? This sensible? This polite? This hard working? I hope so…). The ‘Peacefully Forward’ service was a beautiful way of giving thanks for our time together and to look forward to the future—they are ready for it, I can assure you. 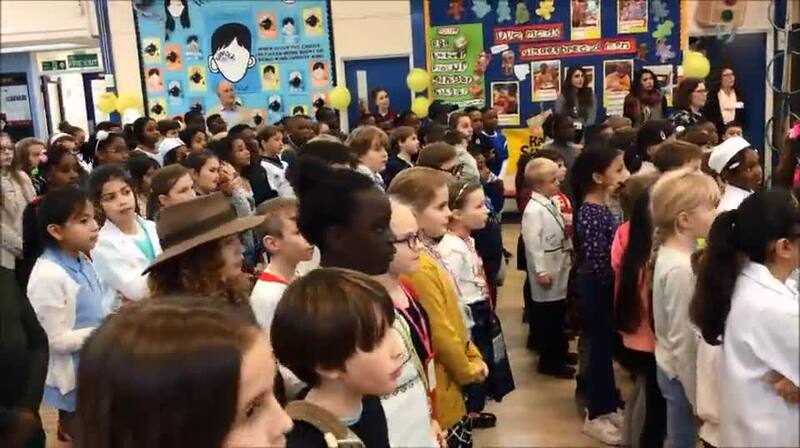 KS2 Choir rehearse for their big date at the royal albert hall! 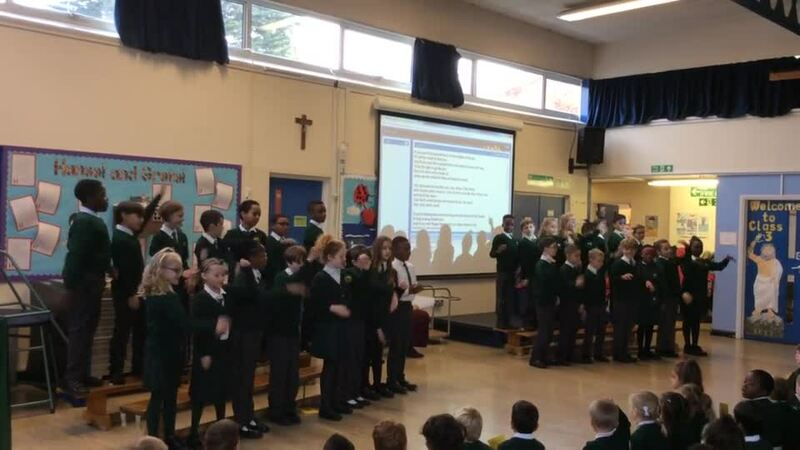 Mrs. Griffin took the KS2 Choir down to Chestnuts school recently so that they could practise their songs for the Royal Albert Hall concert in June. 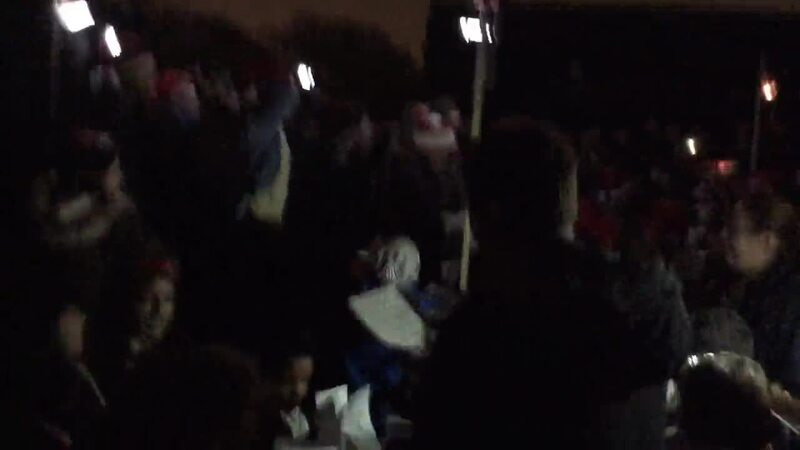 They were joined by a cluster of local schools, and the sound they all make together is beautiful. It promises to be a fantastic event. 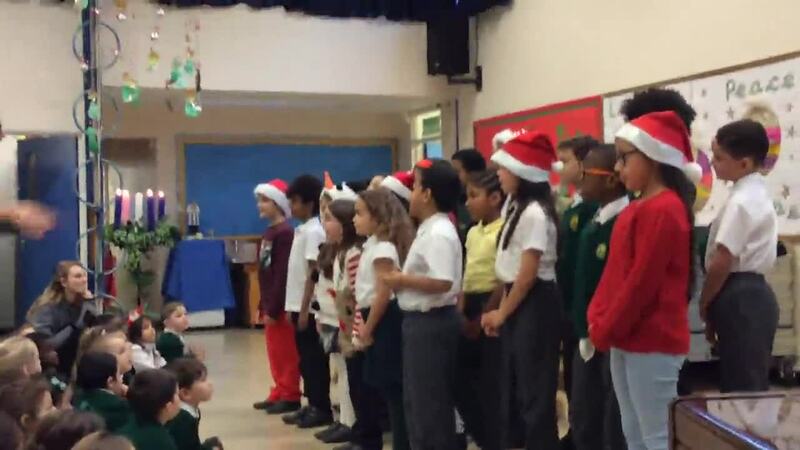 Our children were impeccably behaved as usual! To kick off their topic 'Dinosaur Planet' in real style, our Class 1 made the intrepid journey to the Natural History Museum. A brilliant time was had by all, and the children were really in awe of this wonderful first hand experience. There were some tired faces on the tube on the way back, and some even took the opportunity to have a quick nap! Well done Class 1: you were a credit to us all, as usual, with your behaviour, courtesy and your thirst for knowledge. 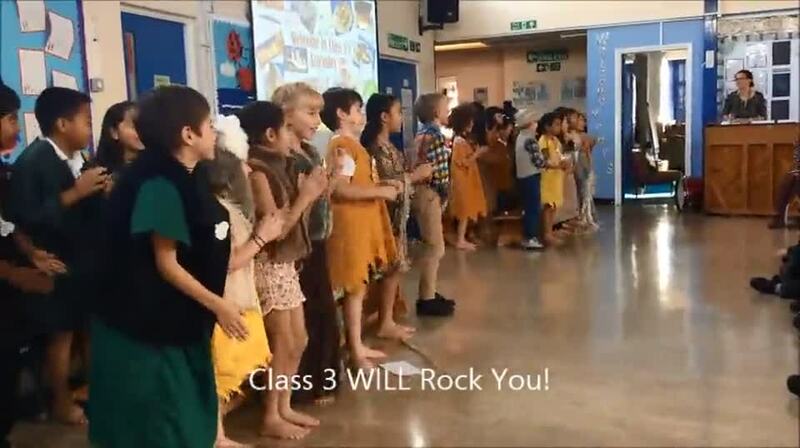 As part of their Ancient Greek topic, the children in Class 3 were treated to an exciting workshop experience. They all looked fabulous in their Greek finery and battle dress, and spent the whole day having fun immersing themselves into this fascinating part of history. Who was the Minotaur? Have a look at the gallery below for more great pictures!